Candace Johnson, Candace Johnson began with Life School in August of 2013 and is now going into her eighteenth year in education. She taught high school English, coached, and served as testing coordinator in the Conroe and Ellis County areas. 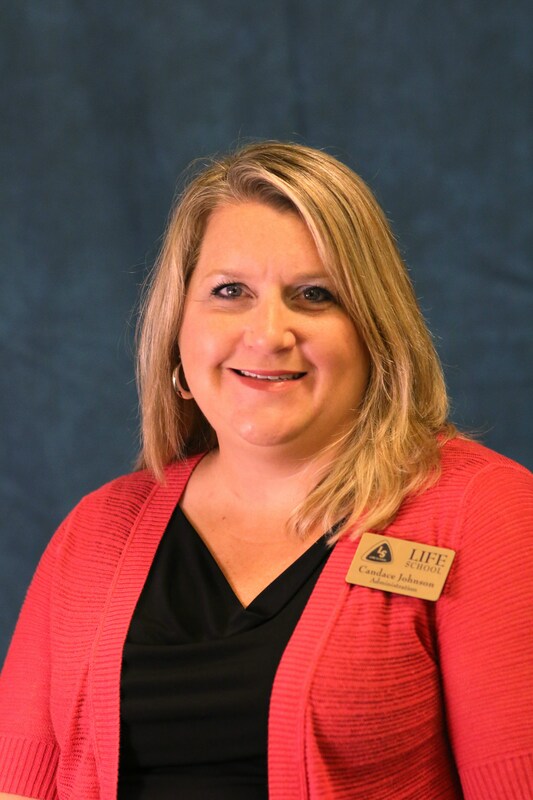 She received her Bachelor of Arts degree from Sam Houston State University in 2001 and received her Masters in Educational Leadership from The University of Texas at Arlington in 2011. This is her third year to serve as Life School Cedar Hill's principal. Candace is married to Mike Johnson and has two children, Jace and Jolie.